This article was written by New Jersey Future intern Julie Morris. About an hour into the Planning and Redevelopment Tools for Rebuilding the Jersey Shore session at New Jersey Future’s 2013 Redevelopment Forum, panel member Robert Goldsmith asked an important question: Is redevelopment an effective tool for post-Sandy New Jersey? Goldsmith, who is a partner with the law firm of Greenbaum Rowe Smith & Davis, thinks it is, an opinion echoed by fellow panel members and the panel moderator, Lopa Kolluri, deputy chief of staff for the U.S. Department of Housing and Urban Development. 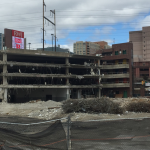 The panel members all stressed that redevelopment should happen soon, not just to rebuild the social community framework but also because rebuilding is key to creating stable economic systems in New Jersey’s damaged municipalities. However, the speakers also argued that this redevelopment should be done only where appropriate and that it should be done the right way. 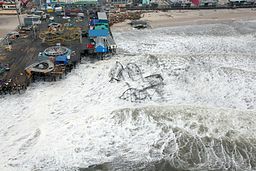 Mark Mauriello, director of environmental affairs and planning with Edgewood Properties and former commissioner of the New Jersey Department of Environmental Protection, stressed that storms of Sandy’s strength are likely to happen in the future, and both coastal and inland communities in New Jersey remain vulnerable. The state continues to face coastal zone planning challenges, including sea level rise, increased impervious cover, and more expansive flood hazard areas. Mauriello showed that with proper development, utilizing such techniques as stricter building codes, pile foundations and elevated construction can make structures more resilient and better able to withstand storms of Sandy’s strength. 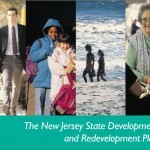 Mauriello also noted that urban areas in New Jersey present a different challenge than less developed shore communities. In urban areas, flood-proofing to mitigate damages, rather than complete reconstruction, will likely be the trend. In the aftermath of Sandy, Mauriello suggested communities in New Jersey should seek to develop multi-hazard mitigation plans in order to be more prepared for future storms and better able to address the challenges of reconstruction. The FEMA-sponsored Hazard Mitigation Grant Program could be used as a resource for creating such plans and developing appropriate strategies, including acquisition, natural resource enhancement and developing stricter regulatory standards. Stan Slachetka, an associate with T&M Associates, described the process through which local municipalities damaged by Sandy should go to designate redevelopment areas. 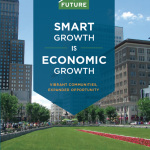 Doing this empowers communities to grant long-term tax exemptions for new redevelopment projects, issue tax abatements, convey property to developers without going through a public bid process, issue redevelopment allocation bonds, or even exercise eminent domain as a last resort. However, before a municipality can utilize any of these tools, Slachetka stressed it must adopt a formal redevelopment plan. Last year’s National Flood Insurance Program (NFIP) Reform Act was a recurring topic throughout the session. The act is beneficial, as insurance rates will now reflect more accurately the risk to structures of potential flooding. However, the premiums can be very high depending on the base flood elevation, and will have negative financial impacts on local governments, residents, and businesses. 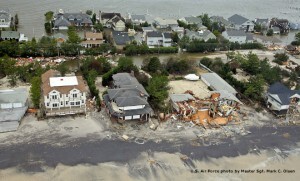 Kenneth Pringle, managing partner of Pringle Quinn Anzano PC and former mayor of Belmar, explained that though the immediate losses from Sandy were extensive, the long-term costs could surpass them due to the impact of the NFIP Reform Act. Raising structures to higher elevations to avoid high premiums is an option, but a costly one. He urged New Jersey and its municipalities to create a a financial tool using the redevelopment law provisions for property tax abatements so they can assist residents who do not have the resources to elevate their houses. He warned that without such a tool, the long-term economic consequences on local tax ratables will be severe. Going through the redevelopment process, utilizing proper development techniques, and taking advantage of the resources available during the post-storm rebuilding period are helpful tools for communities hoping to lessen future economic and social effects. All speakers emphasized that rebuilding the shore both quickly and correctly is not an option but a necessity. “Do it right” is key. Each community has different challenges and different opportunities. Hurricane Sandy is not an isolated incident that will never happen again. In addition, communities need to plan for sea level rise. There are tools available that can perform cost-benefit analysis of structural and nonstructural adaptation actions that municipalities and businesses can undertake to reduce exposure to these threats. It’s important to connect technical results with the social, political, and economic realities of local adaptation, in a way that empowers stakeholders to engage actively in discussions about their future, so that decisions are entirely stakeholder driven, using locally derived data on vulnerable assets and candidate adaptation actions, wherever possible. Local stakeholders should decide the future of their communities, but with the tools and knowledge to make the best decisions.